$399.97 Providence 4-Piece Wicker Patio Conversation Set, Red, Seats 4 - dealepic . This Better Homes and Gardens Providence 4-Piece Patio Conversation Set, Red, includes (1) one tempered smoked glass top + (2) two chairs with cushions + loveseat (supports two people up to 450 lbs.). 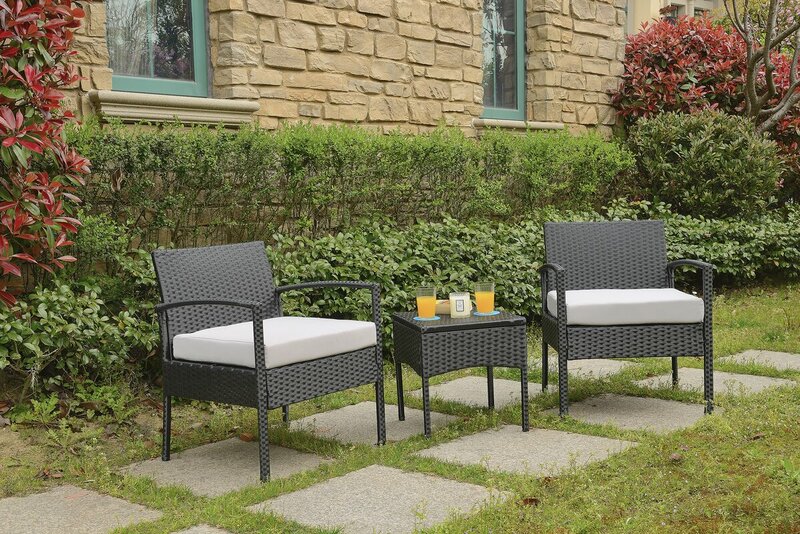 It seats 4 Relax and appreciate the beautiful sunny weather in the comfort of this Red Providence 4-Piece Patio Conversation Set that Seats 4. The sturdy steel construction with powder-coated finish and all weather wicker ensures a fresh appearance. The chairs and love seats come with UV protected cushions along with two decorative accent pillows for the love seat to add extra comfort. Tempered smoked glass table top with an umbrella hole makes it easy to clean and maintain.